USAC issued Wave 21 on Friday, August 31st for $15.0 million. Cumulative funding as of Wave 21 is $1.70 billion. Most E-rate applicants already have valid Form 498s on file. Those still needing to file (or update) their Form 498s, however, should be aware of a recently updated, but potentially misleading, USAC link. 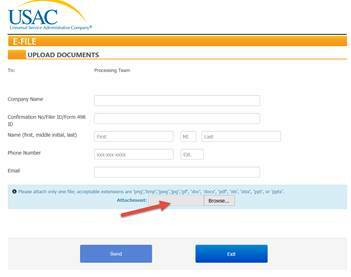 Instructions for filing a Form 498 start on the “Obtain an Applicant 498 ID” page. As a part of this process, applicants are asked to upload banking information by completing the following online form and attaching the appropriate documentation (bank statement or voided check). Somewhat surprisingly, the URL for this address references the term “service provider,” not “applicant” (https://efile.universalservice.org/ServiceProviderManagement/V1/BankValidation). If this URL seems too counterintuitive, an alternative (and often faster) way to submit banking validation information is via email to 498bankverification@usac.org including applicant name and contact information, the Form 498 ID, and the scanned bank information. September 13 Deadline to submit reply comments on the FCC’s Proposed Eligible Services List for FY 2019 (DA 18-789). September 30 Service Delivery Deadline (“SDD”) for FY 2017 non-recurring FRNs. This is also the deadline for requesting a one-year SDD extension (see USAC News Brief referenced below). A definition of eligible Category 1 Network Equipment sufficient to cover all components (leased or purchased) necessary to integrate Leased Lit fiber circuits into a fully functional network. Proper Form 471 treatment of Category 2 software which is listed separately in the ESL, but not included as a subcategory in the Form 470. Guidance on the categorization of client licenses. Confirmation that leased equipment may be categorized under either Internal Connections (“IC”) or Managed Internal Broadband Services (“MIBS”). More broadly, with respect to Category 2, SECA noted the understandable confusion of applicants as to the proper classification of equipment maintenance as either Basic Maintenance of Internal Connections (“BMIC”), IC, or MIBS — a distinction initially, but no longer required, to implement the previous 2/5 rule for Priority 2 equipment. SECA recommended the elimination of the Category 2 subcategories. The FCC has issued another set of “streamlined,” precedent-based decisions (DA 18-897). Applicants facing similar problems as addressed in these decisions may garner useful information by carefully reading the additional FCC explanations found in the footnotes. The original appeal and waiver requests can be found online in the FCC’s Search for Filings. Three Requests for Review and/or Waiver deemed moot for which USAC had already taken the actions requested or for which the applicants had already been fully compensated. One Request for Review, originally filed in 2001, waiving the FCC’s 30% rule and remanding the application to USAC for review. One Request for Review giving an applicant additional time to respond to USAC’s requests for information. Two Requests for Waiver for ministerial and/or clerical errors on Form 471 applications or in responses to PIA questions. Four Requests for Waiver of invoice deadline extensions. Six Requests for Waiver for applications filed more than two weeks after the close of the FY 2018 window. One Request for Review for ministerial and/or clerical “errors” for which the petitioner had not demonstrated good cause to justify changes to its E-rate application. One Request for Review, originally filed in 2000, of a denied service substitution. Three Requests for Waiver for untimely-filed waivers or appeals. USAC’s Schools and Libraries News Brief of August 31, 2018, reminds applicants that the Service Delivery Deadline (“SDD”) for most FY 2017 non-recurring services is September 30, 2018, unless extended automatically, or upon request, for a second year. Automatic SDD extensions are granted if FCDLs or Revised FCDLs (for specified reasons only) were issued on or after March 1, 2018.